Back to school means back to busy mornings- and mom wanting the kids to have a good strong start to their day. 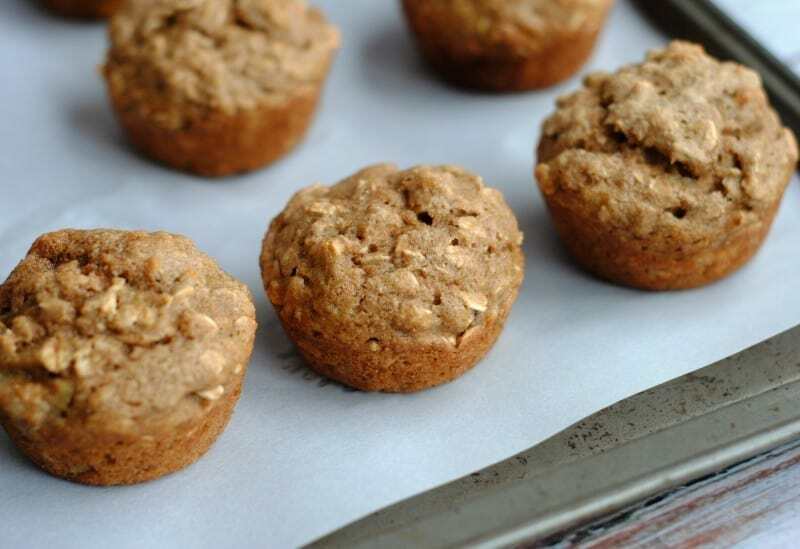 These oatmeal banana applesauce muffins are SUPER healthy for kids to eat, either for breakfast or tucked into their lunchbox for a mid morning snack. Lots of great ingredients means no guilt, and you can whip up a batch of 12 muffins in no time at all. 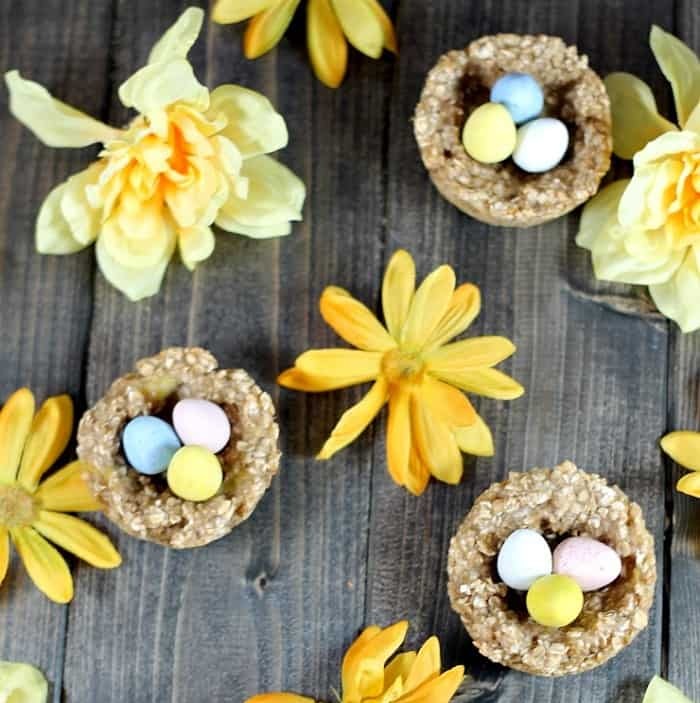 If you’re looking for another oatmeal fruit something, try our banana oatmeal nests. They are such a simple and sweet treat! Preheat the oven to 350 degrees and spray a 12 count muffin tin with non-stick cooking spray. Combine the vanilla, applesauce, egg, bananas and brown sugar, mixing well. 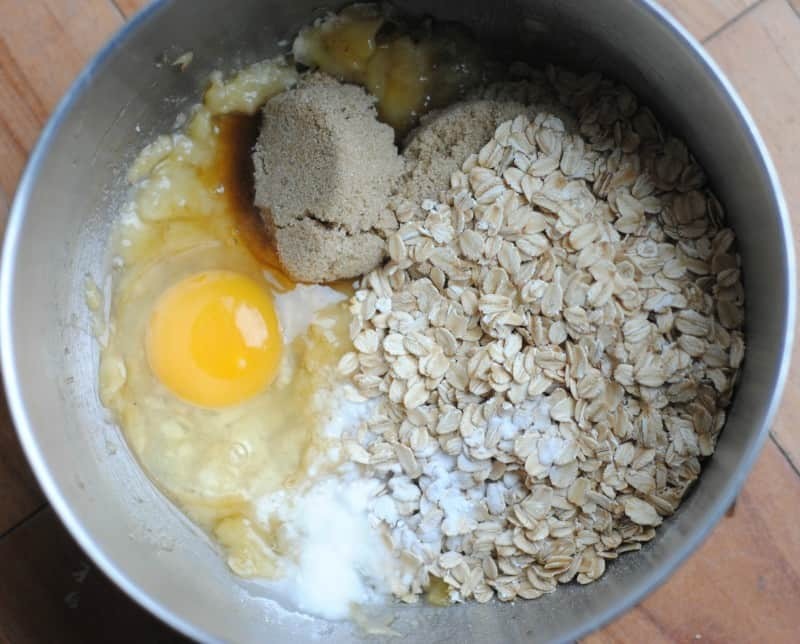 Add in the salt, cinnamon, flour, baking soda, baking powder and oatmeal. Fill each muffin tin about 12 way with the batter. Bake 18-20 minutes. Around 18-19 minutes insert a toothpick into a muffin to check to see if it is cooked through. If it comes out clean, they are done. 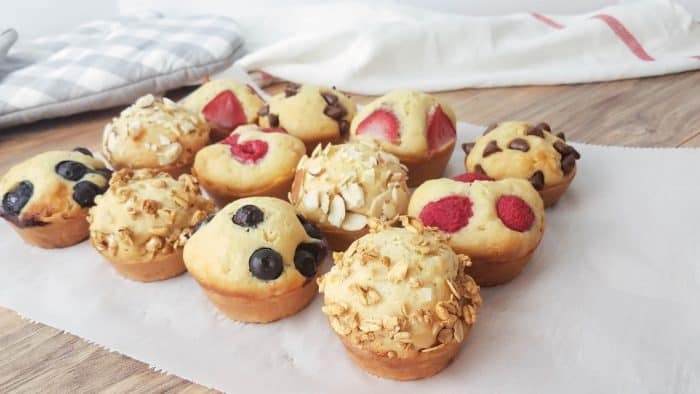 If you want some freezer friendly muffins, whip up a batch or two of these pancake muffins and have some fun with mixins of all varieties! My friend introduced me to her Pumpkin Chocolate Chip Muffins and they are amaaaaazing! 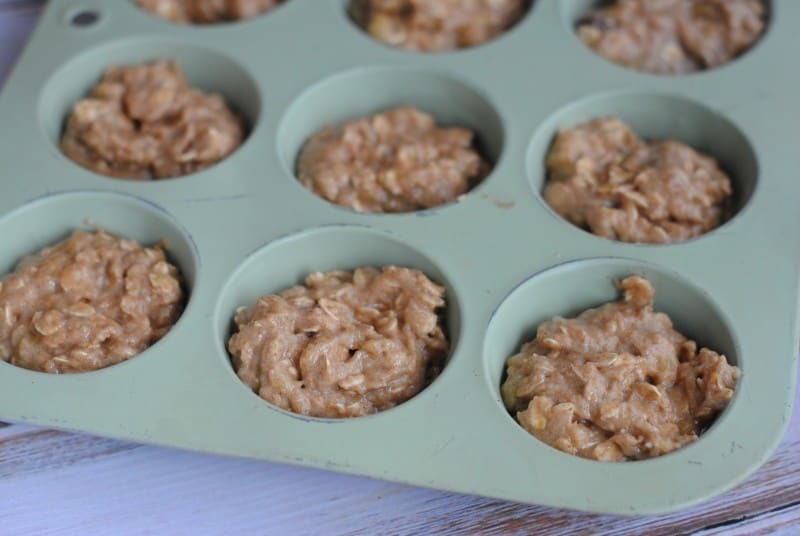 Have you made our oatmeal banana applesauce muffins? Have you tried making any variations of them? any substitutions for the sugar component? would more apple sauce be ok? or honey? If anyone has ideas or has substituted something for sugar I would love to hear your ideas. Sounds yummy. I did add pecans and Nestle’s peanut butter|milk chocolate chips 1\2 cup . i took the adice of the gal who used 2 bananas and 1/2 cup + 1/3 cup applesauce because i have a lot of applesauce!!! Thank you so much for the recipe! Delightful! I was looking for a recipe that didn’t make me feel bad giving to my girls (4&1) at the daycare pick-up, when they are extremely hungry but only 20 minutes before dinner time. Not overly sweet or heavy. It’s perfect! For the second try, I also blended chopped kale and grated carrots with bananas to sneak in some veggies, and worked out great! These are amazing!! 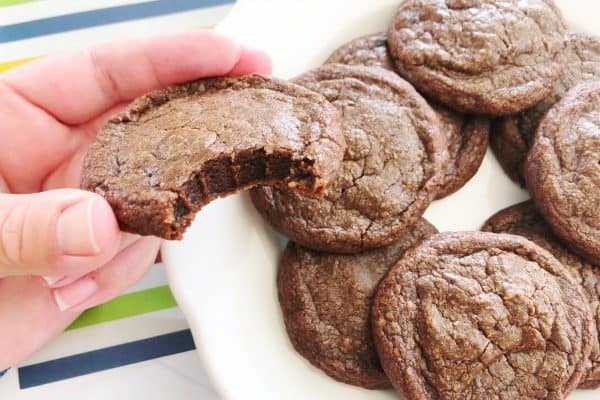 I did a few substitutions that turned out well– I replaced the flour with 2 parts whole wheat flour and 1 part almond meal, and I love the texture that gives!! I also replaced the sugar with 2 parts honey and 1 part maple syrup, and that works great. I doubled the recipe and made normal muffins and mini muffins, and they were a hit with all 3 of my little ones (and me!! )– so delicious!! Thanks!!! I was looking for a healthier alternate for breakfast instead of eggs so I just made your recipe and followed your recipe and did add about 1/4 c. of walnuts chopped,but forgot to add the salt.They smelled delicious while they were cooking….they took 24 mins to cook.And the verdict…not overly sweet or condensed and wonderful tasting!!! !Hubby and I say thank you for sharing this recipe. Just stopping in to say we make these weekly! My 3 yr old takes them in his lunch everyday ? So happy that I happened upon your recipe. 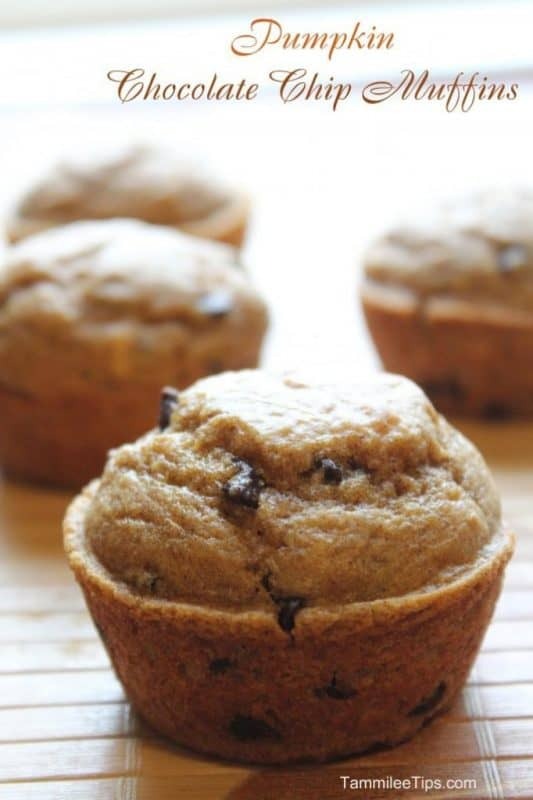 I had some very ripe bananas that I wanted to make muffins with, but I wanted a healthy recipe for my family since we are all trying to eat better just past the holidays. 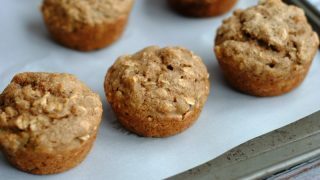 I thought I was going to have to create a muffin recipe myself because I knew that I wanted to use bananas, applesauce and oatmeal, but couldn’t find a recipe on my favorite sites. With one final attempt, I just googled the ingredients I wanted to use, and voila … there you were! I love the muffin. I added walnuts because I like crunch. One question however … have you calculated nutrition facts? I came back to the website because I wanted to tell my family how many calories, but I don’t see them. Thanks again for the recipe! Fabulous! Just made these this morning and had one right out of the oven…delicious! All the ingredients are listed in the directions at the top where the pictures are but not in the recipe at the bottom….I think that is what some rude people are referring to. Great recipe, switched flour for whole wheat and added a scoop of vanilla protein powder. Turned out amazing. Thanks for sharing. I just made these with my 4 year old twins. I made them as mini muffins because I never know how much they will eat. My 1 twin who is a very picky eater is on her 4th or 5th one. Yay! 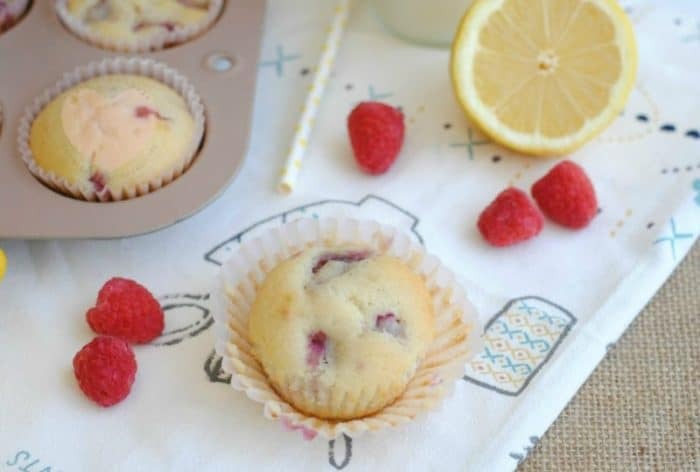 Has anyone frozen these or any type of similar muffins? Just wondering how long they last. Even in refrigerator? I was surprised by how good these are! I was a little skeptical because of the lack of butter/oil, and I assumed I’d have to butter them up once baked, but not the case! I did use quick cook oats, and they turned out well. I will definitely make these again. These are so yummy! Making them for the second time. My 2.5 year old loves anything with “nana” 🙂 thank you! The order of ingredients in the instructions is so obvious it’s redundant whether they are specified. Dry ingredients mix together; wet ingredients mix together. I am grateful for this post, because it is the only one that I have found so far suiting my preferences. Thank you for posting! They’re in the oven for my toddler. My house smells amazing! Thanks for sharing! It isn’t obvious to me 🙂 I’m a novice cook (beginner, really). Thanks for the lovely recipe! Why are people so rude???? Perfect for snacking! 🙂 Pinning! 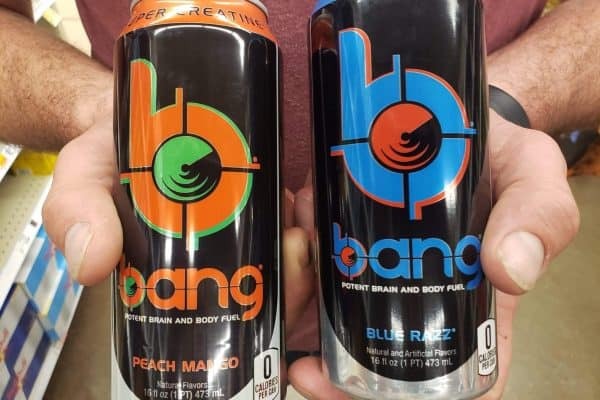 These look great! Pinned. Thanks for linking up at Wonderful Wednesday. My kids are going to love these muffins. PERFECT portable breakfast idea! I have family coming to town in a few days (including 2 little ones) – so making these for them! 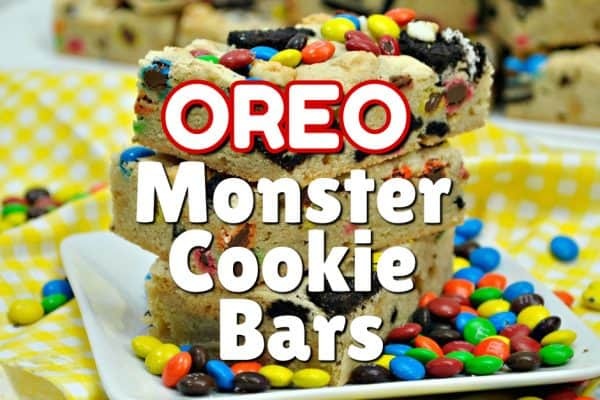 These look super yummy! 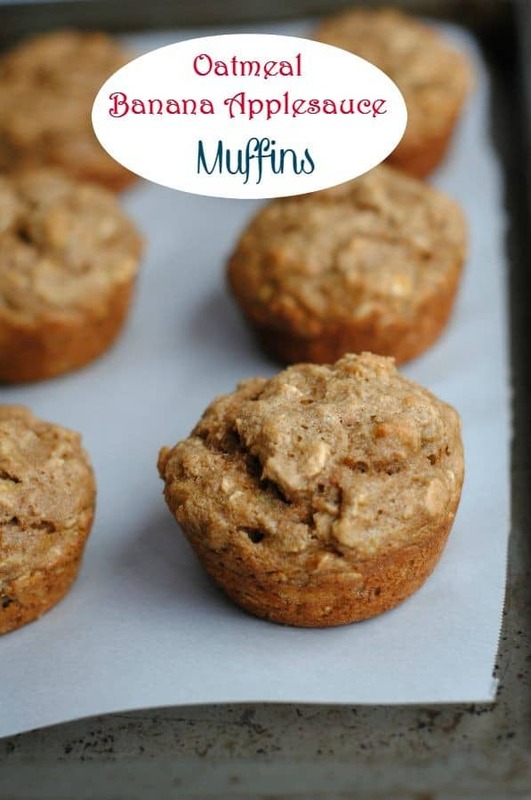 We love muffins in my house, these would be good to have for breakfast or after school snack.